Nearly eight per cent of GDP components in India are currently impacted by digital technologies and by 2021, 60 per cent of those will be impacted. "Almost every sector is becoming digital and that transformation is impacting every company in India," stressed Maheshwari. Today, 97 per cent of the top banks, 75 per cent of the top retailers, 81 per cent of the top auto firms, 75 per cent of the top pharma players and 67 per cent of the top healthcare firms are Microsoft's customers in India.Wipro, Future Generali, L&T Technology Services and Apollo Hospitals are some of the key customers. 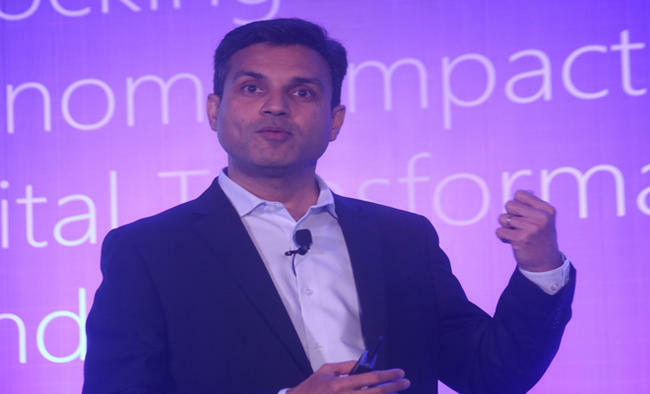 "With over 9,500 partners, nearly 3,000 Cloud partners and 88 own IP-ready partners, we are ready to unlock the full potential of AI, Cloud and data for the Indian firms," stressed the Microsoft India President.Over 700 AI-driven enterprises in India today are driving businesses with New Age technologies.Driven by Intelligent Cloud, Intelligent Edge and spurt of data, AI and its growing use cases are set to change the game. Microsoft currently has 54 Azure Cloud regions -- more than AWS and Google combined. "We will continue to work closely with the countries when it comes to data localisation. India already has three Azure regions which shows how serious we are for keeping data within the boundaries," said Maheshwari.